Here at Base we’re giving our guests the chance to spread the Fatherly love throughout June with our amazing Stay & Dine Father’s Day offer. Does Dad really need a new pair of socks? Of course not. That’s why we’ve put together the perfect package to wow Dad this Father’s Day (and there’s beer and food involved – so you’re guaranteed to make him smile). 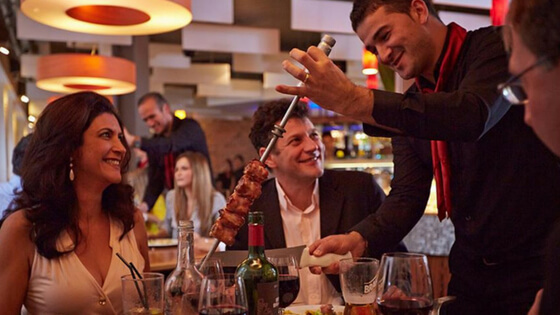 From just £37.50 per person, enjoy an overnight stay at any of our locations in Liverpool plus a full Brazilian BBQ at Bem Brasil. Better yet, you’ll receive a glass of fizz or bottle of beer on arrival. This fantastic offer is valid on stays throughout June for groups of 2, 4 or 6 people. To find out more and for full terms and conditions, click here to get in touch. Legally Blonde Empire Theatre 5-9th June. 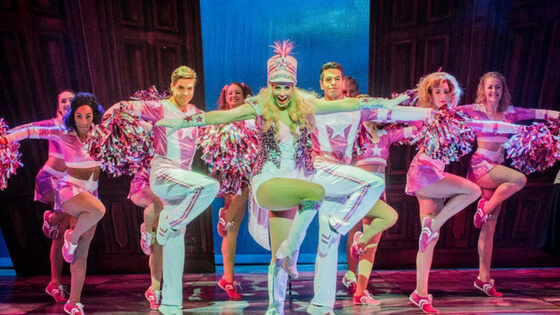 The smash hit Legally Blonde the musical is hitting The Empire Theatre in June for a limited time only. The show, based on the best loved movie follows a beautiful and popular sorority girl who loves to be pampered and is passionate about pink. After a harsh breakup she decides to put down the credit cards and pick up the books. The hilarious story follows her journey through Harvard Law School in a pursuit to win her ex back. However in a twist, along the way she learns that she can be fashionable yet educated and independent! There’s still tickets available. For a last-minute girls night, grab your ticket here. Africa Oye 16th June – 17th June. Africa Oye is back! 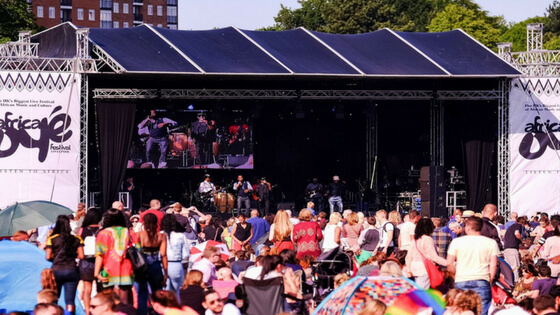 The UK’s largest free celebration of African music and culture is making a return to Sefton Park for it’s annual celebration. The festival began in 1992 and since then the event has gone from strength to strength. Expect two days of happy people enjoying live music, food, drink, arts, crafts and fashion in one of Liverpool’s most beautiful parks. A festival which seeks to celebrate multiculturalism through hosting artists from nations right across Africa, this is an event surely not to be missed! Find out more here. Shrek The Musical Empire Theatre 12th – 24th June. Who doesn’t love Shrek? 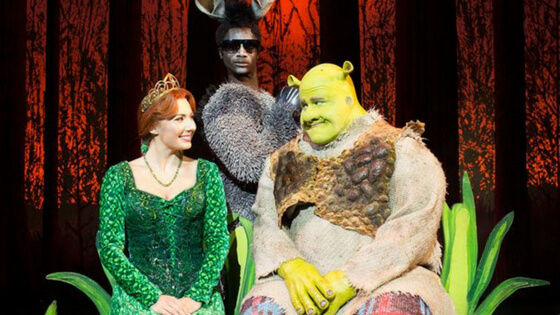 Based on the hilarious family (and even Oscar winning) film – Shrek The Musical is gracing the Empire Theatre this June. The spectacular production turns the world of fairy tales upside down in an all-singing, all-dancing, must-see musical comedy. Expect to see all the favourite characters from the movie brought to life in an interactive musical suitable for all the family. For tickets, click here. Katy Perry Echo Arena 21st June. Katy Perry is back in Liverpool in her first tour since the sold-out Prismatic World Tour in 2015, and this show is set to be bigger and better than ever. 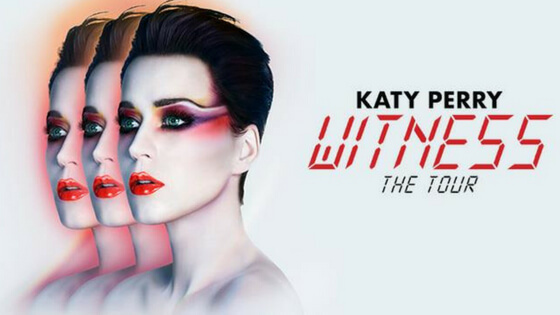 The tour, called witness will be a show of thought provoking songs that explore the liberation Katy finds in the changes in the world and her own life. Don’t feel like a plastic bag drifting through the wind…there are still tickets available! Grab them here. Looking for a place to stay after the Katy Perry concert? Take a look at our Docks Apartments right next to The Echo Arena. Independent Liverpool Cheese Festival 23-24th June. I know it’s cheesy, but we think this festival will be grate! (sorry). 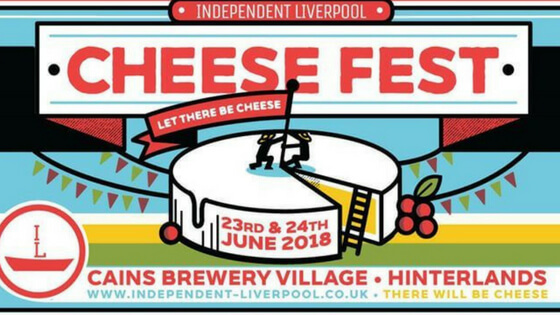 Independent Liverpool are throwing a festival full of the yellowy goodness that is cheese. There’ll be raclette, halloumi fries, toasties, pizza and just about everything you can imagine related to cheese. The festival which will be supplied by local Liverpool traders will take place in the brand new ‘The Hinterlands’ within the trendy area of Cain’s Brewery. There’ll be an artisan market full of unbrie-lievable treats to take home, as well as live entertainment all weekend and a special ‘Cheesy Disco’ to top it all off. For more info and to grab your tickets. See here. That’s all for this month! Click here to check availability and to book your next #staywithBASE today.